Well, yesterday was a very stressful and exhausting day. After Seamus got sprayed by a skunk the whole morning was consumed by giving him a bath (the baking soda, Hydrogen Peroxide and dish soap) mix my Vet friend suggested worked wonderfully. Then I gave him a regular bath and he was smelling like roses. I took another shower, sprayed Febreeze on the couch, put all blankets in the wash and burned some candles to help air out my living room. I placed some cups of vinegar around the house to get rid of some of the odor as well. Everything is back to normal thankfully. Though it gave me a headache and I started to feel a little nauseous. Well enough about the smelly business because this weekend it was nothing but the amazing smells of grilled cheese. It is one of my favorites from my childhood and so it seemed only fitting to make a more adult version. 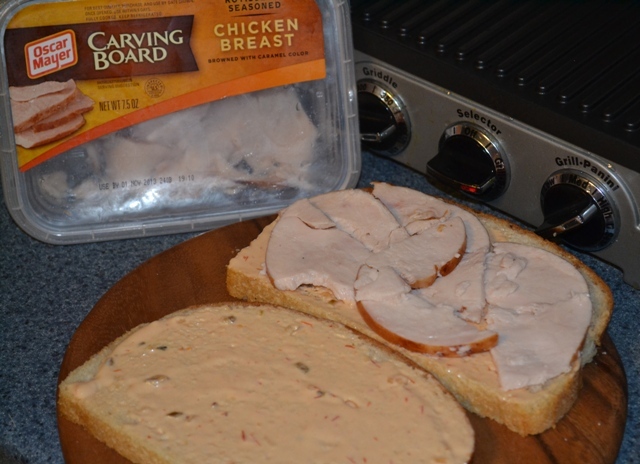 Directions: Spread the dressing on both slices of bread. 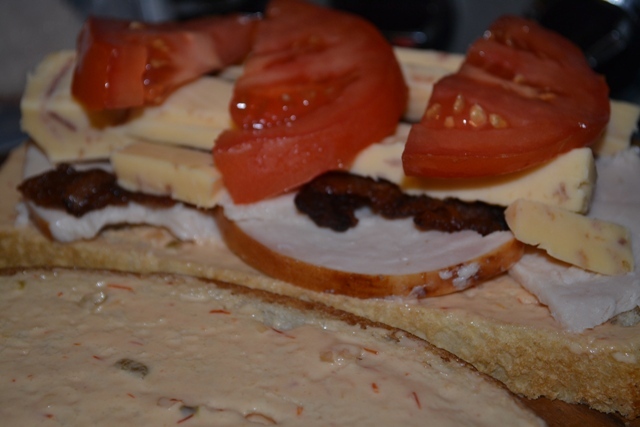 Layer Chicken, Bacon, Gouda, and Tomato. If you don’t have a Panini/Grill the ridged grill pans work well to! Tonight is my first cake decorating class so be prepared for me sharing some of cake decorating tips. 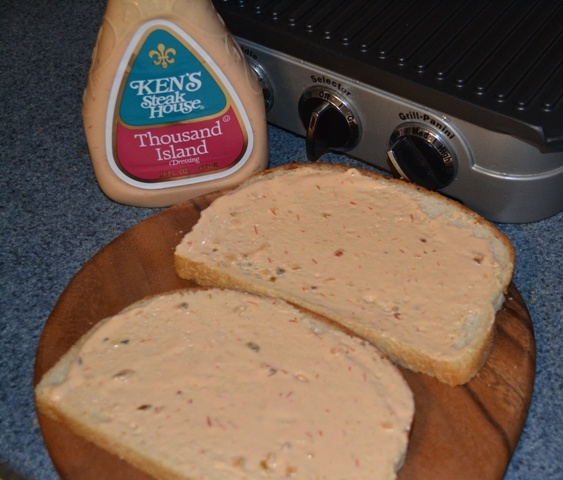 Do you have any favorite filling you like to add to grill cheese? What is one of your favorite meals from childhood? I hope you try it! I loved how the flavors came together. It is one of my favorite cheeses! What a unique twist for a sandwich! Looks delish! Thanks for linking up with us! Thank you! 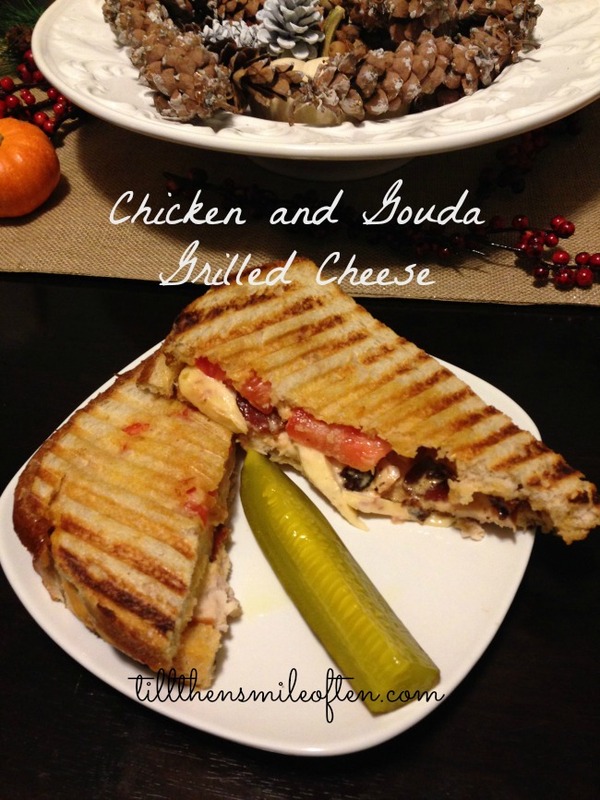 Gouda is my favorite so it was a perfect mix of flavors for me. Thanks! It really hit the spot! omg poor seamus and you!!!!!!!!! It made for a really long and stressful day for sure! He smells so much better though, now! Yeah, the smell was so overpowering. It made for a long day. It brought back some great childhood memories! Yummy!! Need to try this. I’ve had a George Foreman for years and it just recently occurred to me to make grilled cheese on it. Where have I been? Ha! Haha!! Yeah I always forget about mine since it is tucked into a cabinet but when I do it is so perfect for making a quick sandwich! Poor Seamus and poor you! How terrible! I was a very stinky day! Literally! He is smelling so much better though! Thank you! you say gouda? im so in. That is so cool! I love fun facts. It was one of my favorite dressings growing up! I hope you tried it, the flavor combo was one of my favorites! 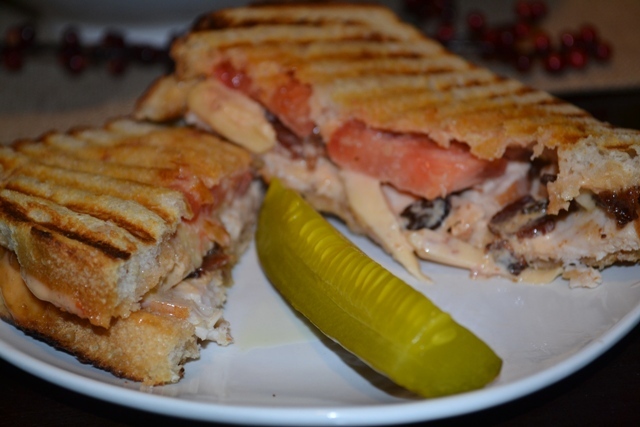 My eyes actually just lit up at the thought of a panini with gouda and chicken breast. Delicious!! I need to leave and get sourdough bread and just eat it all in one sitting;) haha I made a burger with it the other night. Yum. This will be made for the mister, he will be thankful for this version! You really do need to run out and get some! So good! Any way I can add Gouda and I am happy!